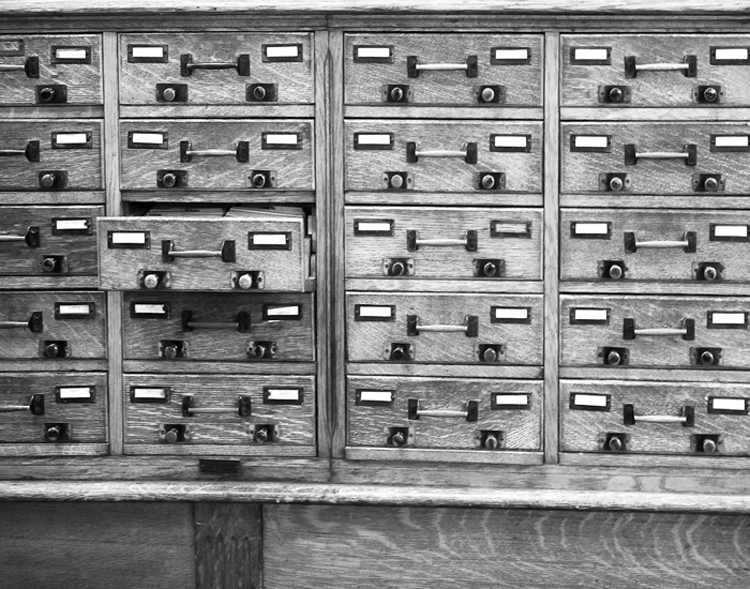 Photographer Ellen Fisch presents new black and white and sepia photographs of the General Society of Mechanics and Tradesmen’s landmark building on her website http://www.ellenfisch.com/mechanicstradesmen.html. “It is essential to give back to the architectural world which is my source of inspiration,” Fisch states. Photographer Ellen Fisch, a New York based architectural photographer, presents new photographs of the General Society of Mechanics and Tradesmen’s landmark building located at 20 West 44th Street at 5th Avenue in the heart of New York City. Fisch has added these black and white and sepia architectural photographs to her site so that viewers may appreciate the magnificence of architecture and ornamentation represented by this building that is no longer designed and constructed today. Fisch, a member of the General Society of Mechanics and Tradesmen for several years, was initially attracted to the General Society for its exceptional Trades School, the Mechanics Institute which educates students in the building trades industries. Moreover the General Society’s superb library and the remarkable building that houses the Society greatly appealed to Fisch. The General Society of Mechanics and Tradesmen dates from 1785, when 22 tradesmen, among them a sail-maker, silversmith, potter and blacksmith, gathered to form a group of support for each other and to encourage the trades in NYC. Today the General Society’s membership is made up of architects, builders, artisans, tradespeople and other professionals, all of whom are dedicated to continuing excellence in the trades. Fisch is a member of both the School Committee for the Mechanics Institute and the Library Committee for the General Society’s vast book collection dating from the 18th century. “I feel that I am making a difference for people in the building industry who are trying to better their situations,” says Fisch. “It is essential to give back to the architectural world which is my source of inspiration,” Fisch states. In November, Ellen Fisch gave a slide presentation of her architecture photography to the assembled membership of the General Society in its renowned library. Additionally, Fisch exhibited black and white and sepia-toned photographs taken of the General Society’s landmark building. The General Society’s President Victoria Dengle presented Fisch with a plaque: “ to express gratitude to Ellen Fisch Architectural Photographer for her participation in The General Society Artisan Series.” President Dengle especially appreciated one photograph exhibited by Fisch. 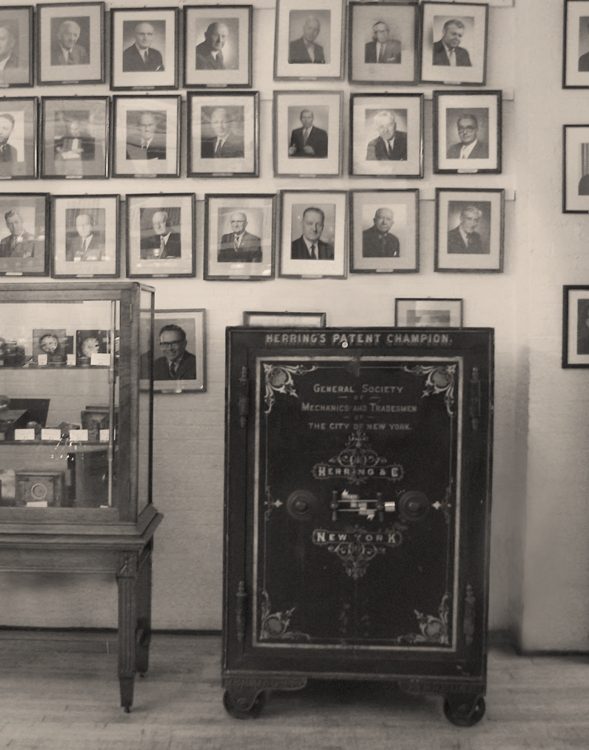 The sepia image, taken in the Society’s building, is of an antique safe surrounded by historic photographs of General Society past presidents. Victoria’s father, Gerard A. Dengle, Past President 1982 is among these exemplary and selfless individuals who devoted their time to the Society. “Relating the history of a place or society is a fundamental component in my photographs,” notes Ellen Fisch. To view Ellen Fisch’s photographs of the General Society’s landmark building visit http://www.ellenfisch.com/mechanicstradesmen.html. For information about the General Society of Mechanics and Tradesmen visit http://www.generalsociety.org. Ellen Fisch is a New York based photographer specializing in black and white and sepia photography that is artistically expressive, historically relevant and timeless. To view Ellen Fisch’s black and white and sepia fine art photographs visit http://www.ellenfisch.com.